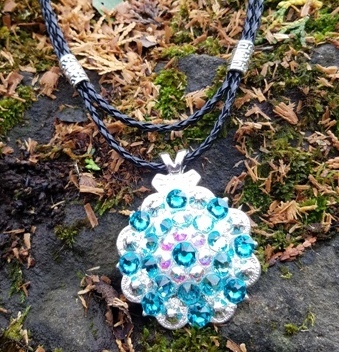 Jozee Girl Designs Custom Crystal Tack, Jewelry & Accessories - 1¼" Crystal Concho ~ Choose your Crystal Colors! Available in Saddle Screw, Chicago Screw or Browband Slide. We carry all sizes: ¾", 1", 1¼", 1½", 1¾", 2" and 4¼". To order, type your crystal color selections in the boxes below, choose your attachment and hit "add to cart". Personalized Wither Strap ~ Choose your colors and Text! 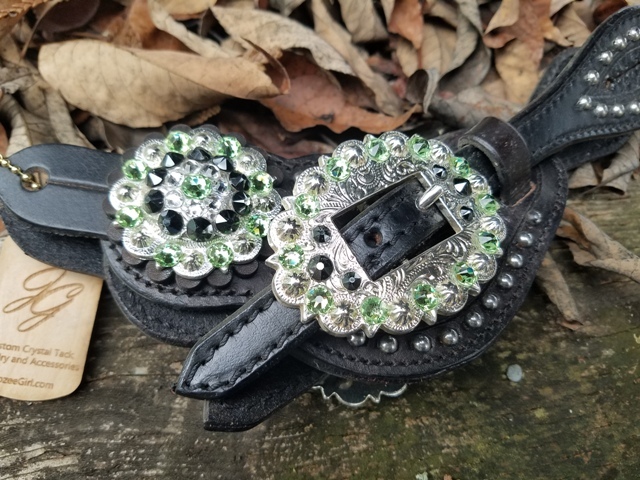 Clearance Spur Straps ~ Black Leather ~ Light Green Crystals ~ Save $20!